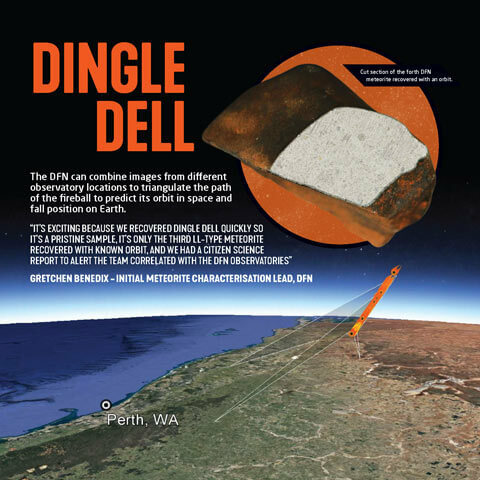 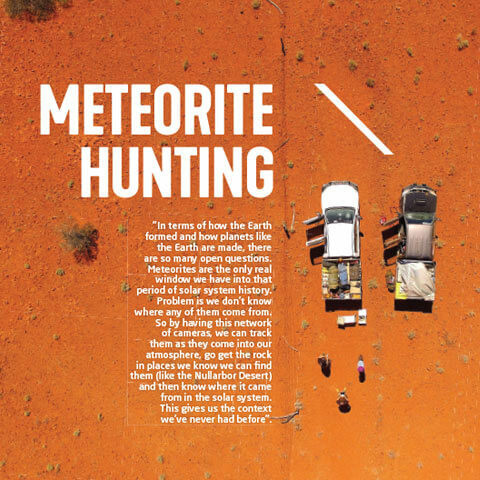 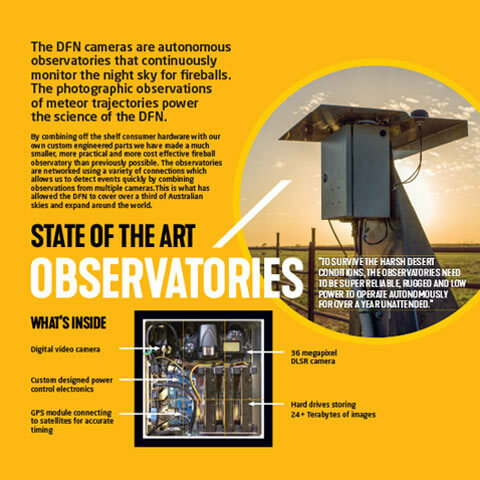 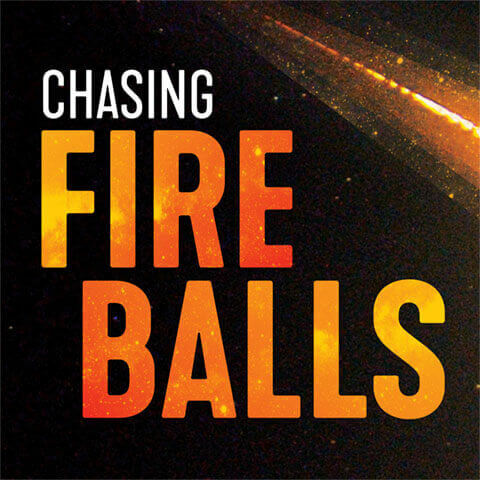 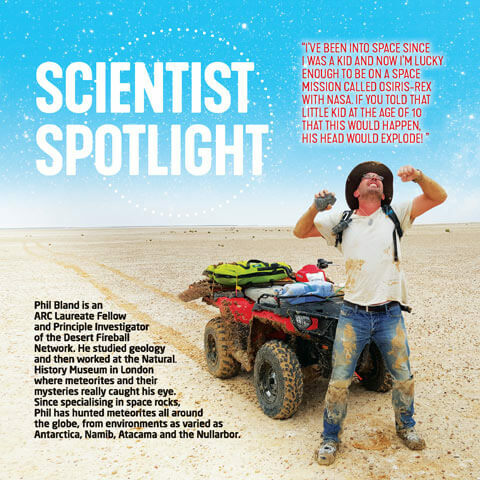 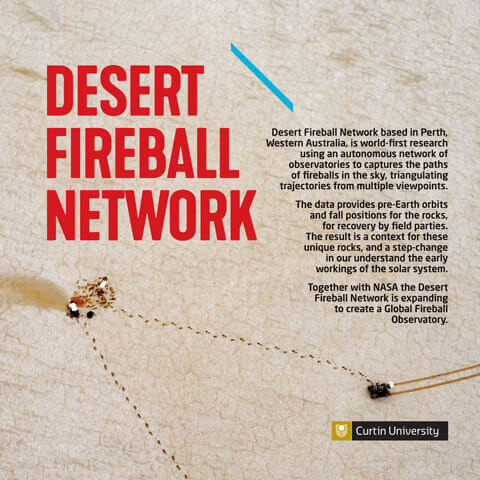 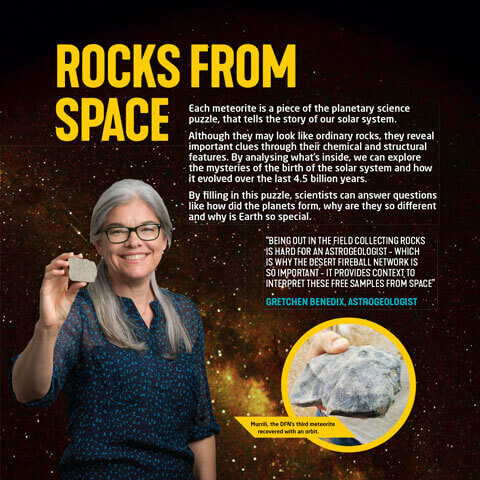 Fireballs in the Sky is the award-winning outreach and citizen science program that connects the public with the research of the Desert Fireball Network, based at Curtin University in Perth, Australia. 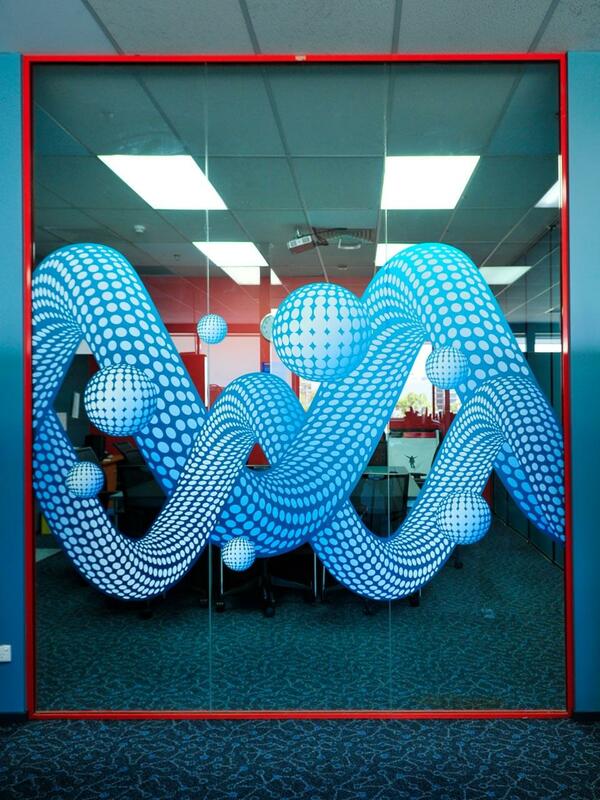 I was commission to design a traveling exhibition of modular panels which can be presented in a variety of arrangements and easily tour WA. 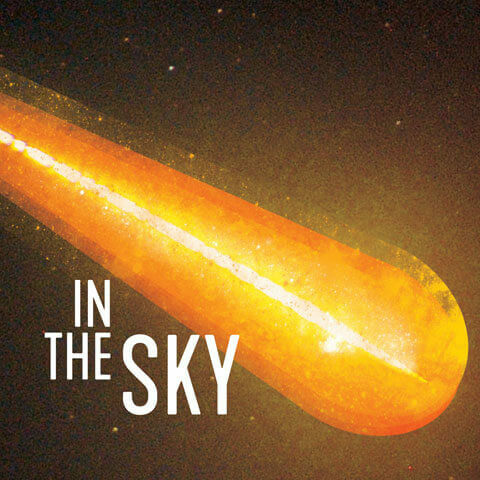 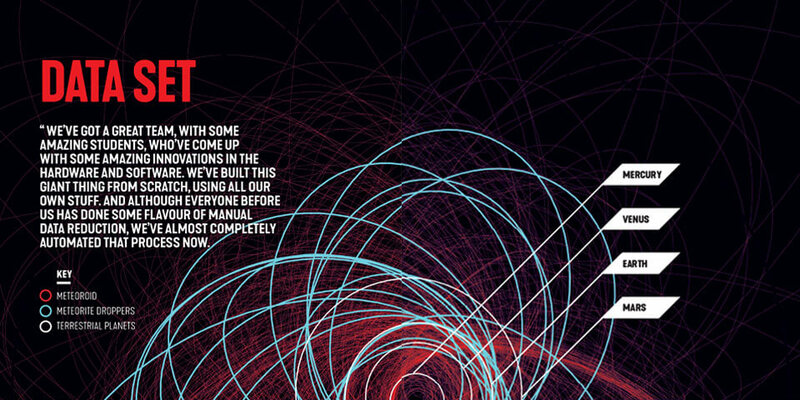 The design utilises gritty halftones created from astronomy images, striking images and a contemporary elongated typeface. 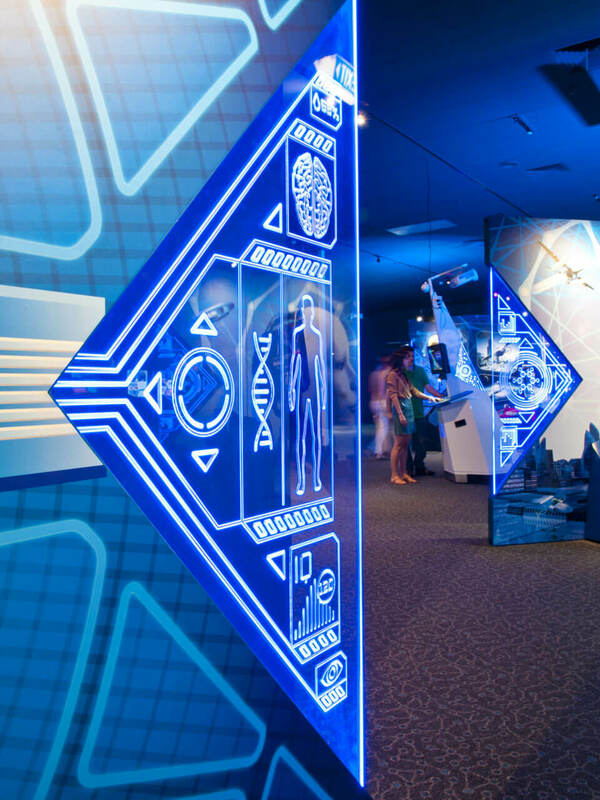 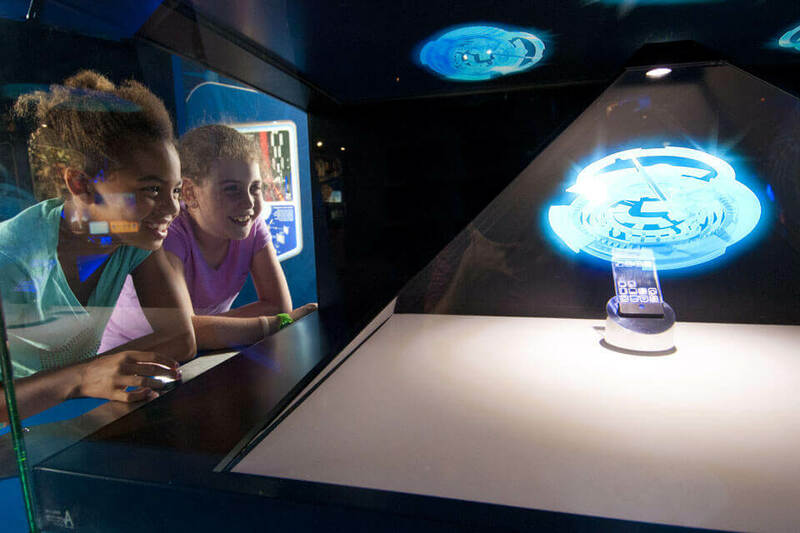 Using full-body experiences incorporating robots, invisibility, mind control, holograms and augmented reality, this visually compelling Scitech built exhibition explores ideas and concepts that might become the science reality of tomorrow. 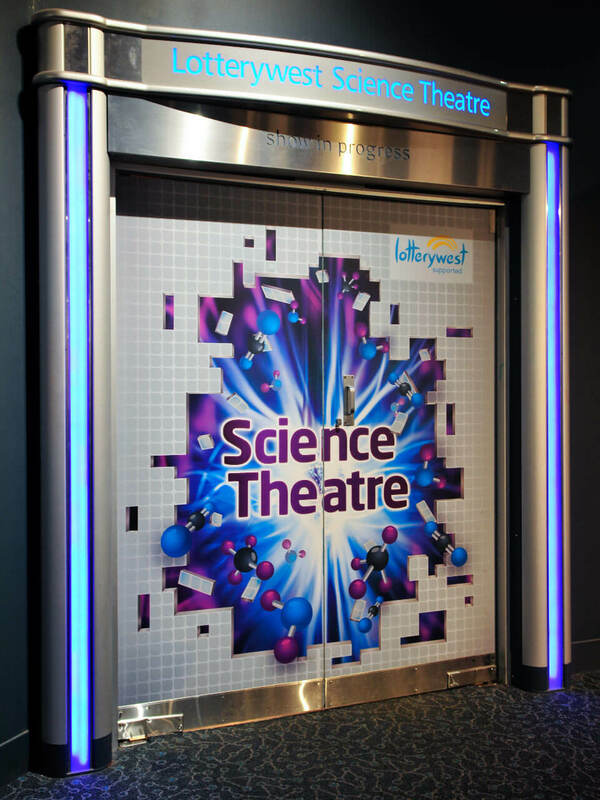 I designed the high impact graphic panels for the entrance, edge lit acrylic panels and exhibition logo. 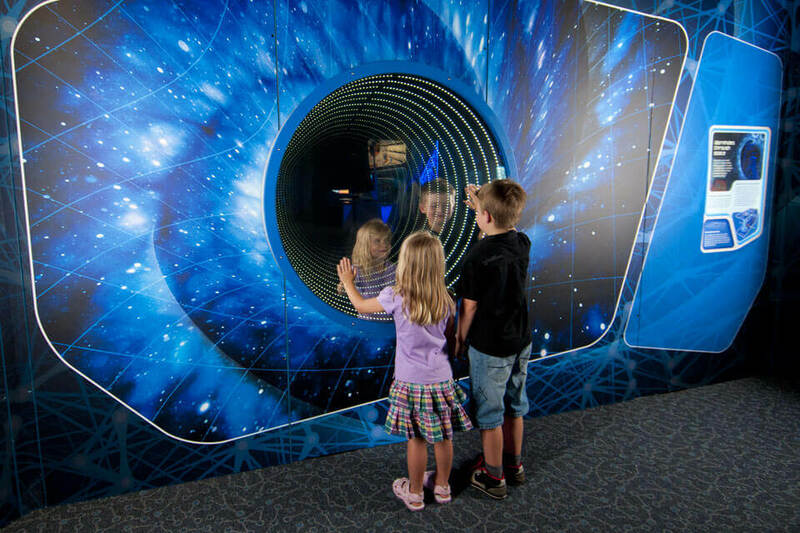 I also photographed the exhibition and created marketing collateral to sell the show to the general public and other science centers around the world. 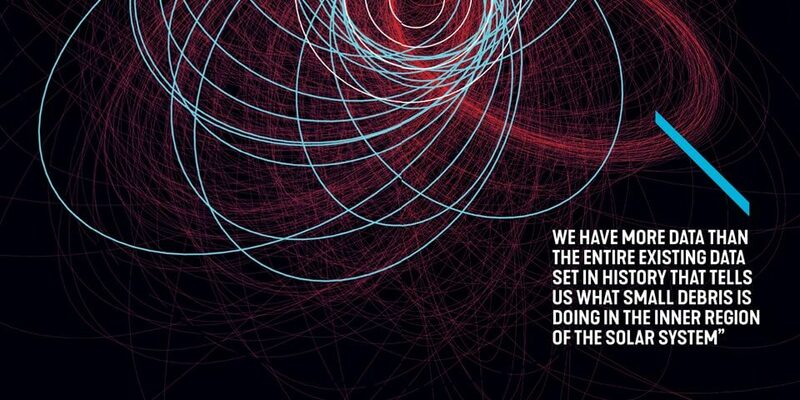 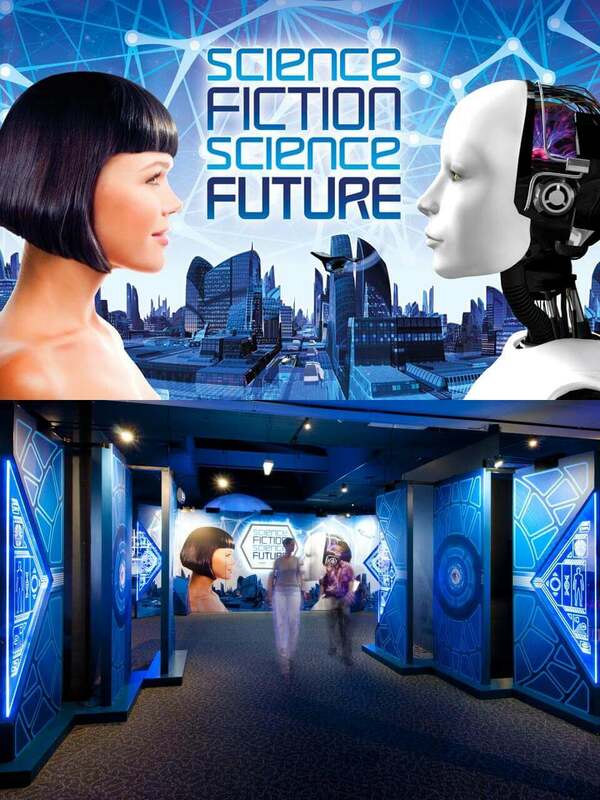 Science Fiction Science Future won the 2014 ASPAC Creative Exhibit Award.